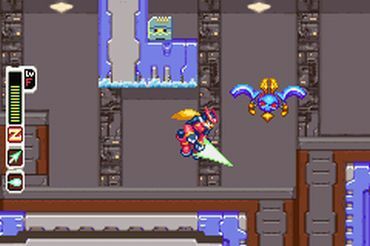 Mega Man Zero is a series of Capcom that is dedicated to Zero (known from the Mega Man X saga). 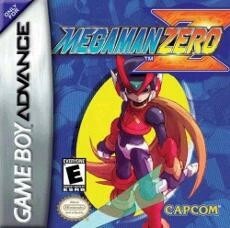 He got a completely new design and therefore does not look similar to Zero from the X saga. 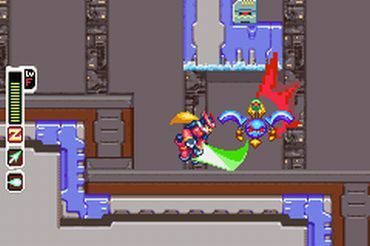 The Zero series was released on the GameBoy Advance platform. Altogether, there are four different parts that are all being censored for the US/European market. The Japanese version is the only one that has not been censored. Perhaps the publishers were concerned that one may think the red oil might be blood. This comparison focuses on the first part of the series, but the censorship is identical with the ones from part three and four. 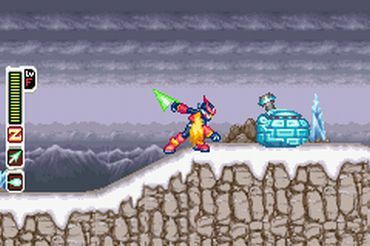 Left: uncensored Japanese version. Right: censored US/European version. 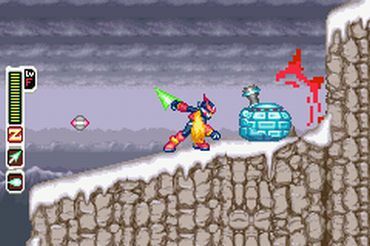 The censored international version for Gameboy Advance has been compared with the uncensored Japanese Gameboy Advance version (both by Capcom). The machine oil that looks like blood has been removed.